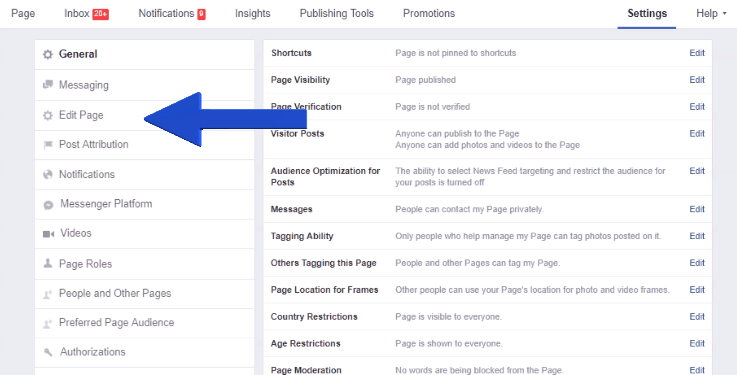 Do you know how to find your reviews on your Facebook page? Just how important are online reviews anyway? Consumers use online reviews for just about anything and everything that can be purchased. From services to goods, reviews are powerful tools when it comes to growing your business. When someone leaves a review about your business they’re essentially helping to advertise (good or bad) for you. This is especially true on Facebook as that person’s review will show up in the friend’s newsfeed. This notification is important to help spread the word about your business from those who’ve actually been there. And it’s not enough to just have a bunch of good reviews – it’s super important to respond to your reviews. 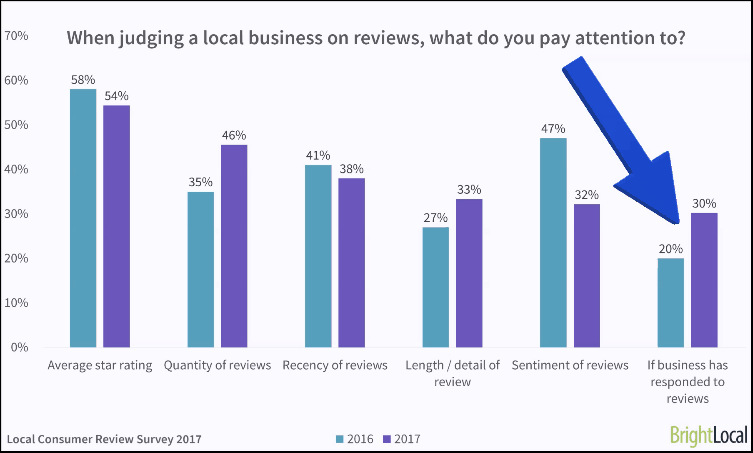 Bright Local found that 30% of consumers look to see if a business has responded to reviews. That’s up 10% from just the year before. 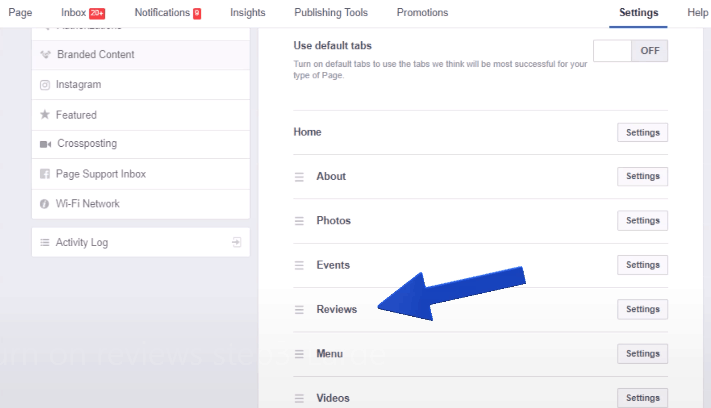 The first step to getting reviews on Facebook is to make sure that the review setting is turned on. We’ll show you how to do that in just 4 easy steps. 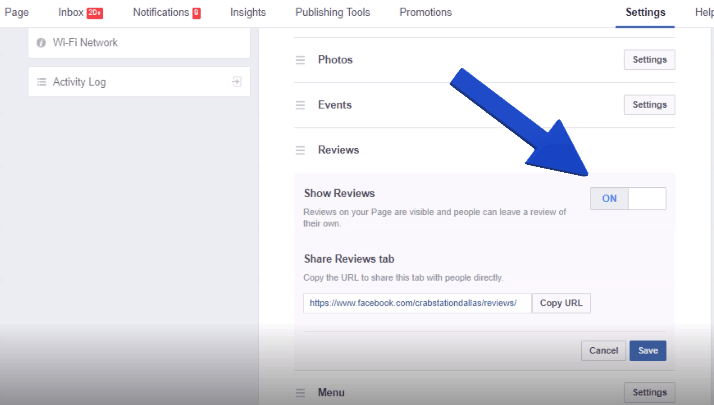 Now that people can leave reviews for your business on Facebook, what’s next? Respond to every single review. Just as you do in person, let your customers know that you’ve heard them, no matter if their feedback is positive or negative. Here are our guidelines for responding to reviews. Respond to reviews as quickly as possible. Don’t let even the smallest feedback go unanswered. Always say thank you. Regardless of the nature of the feedback, always thank them for taking the time leave their feedback. How you handle feedback – positive or negative – says a lot about you, your business, and your brand. This means proper grammar, spelling, and tone count. As you know, stuff happens, but you’ll still want to be prompt, appreciative, and professional. A “sorry” goes a long way. Even if the complaint is unfounded, apologize to the reviewer for their experience. And if they have a sincere complaint, let them know that you’ve heard them and have the intent to rectify the situation. Sometimes the best way to win a customer back is to also contact them privately and offer compensation or a personal invitation to return. By responding to each and every review you’re telling your potential customers that you truly care how your business is perceived. If you’re in the business of creating life-long customers like we are, managing and responding to reviews in Facebook just comes naturally. Not every customer will automatically leave you a review – you’re probably going to have to nudge them a little! Although let’s admit it, coming right out and asking for a review is awkward. We’ve come up with the perfect tool to generate more reviews. 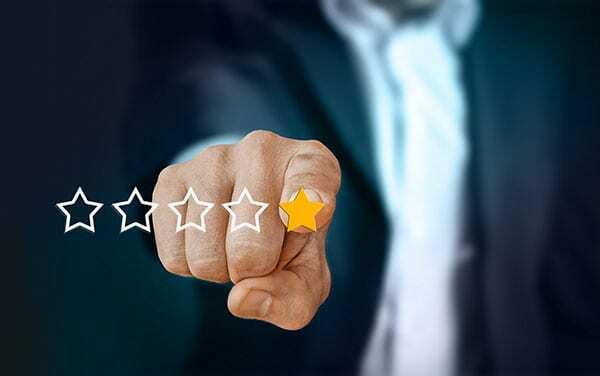 This tool reaches out to customers via text or email and with just a few clicks that customer can leave a review on the review site they prefer to use. It’s super easy to integrate into your current marketing strategy and we can set it up in minutes. Garnering more reviews (especially positive ones) means that more people will view your business more favorably. And our review manager is an easy and painless way to accomplish that. 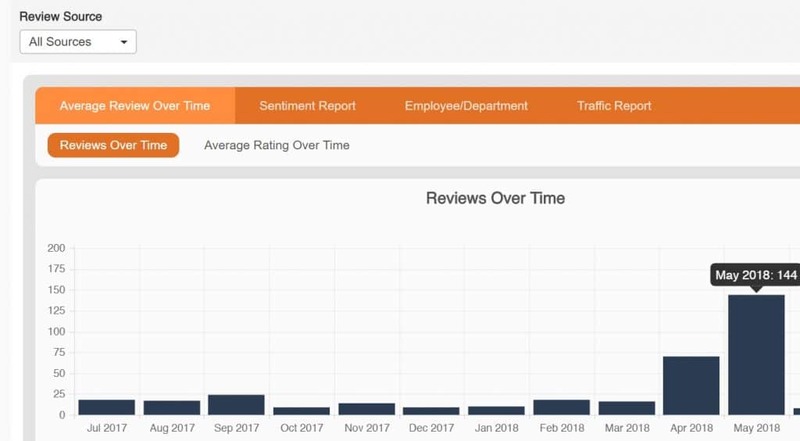 Our client, Safe Pro a pest control company, starting using our review management tool in April, and as you can see the numbers are off the hook!